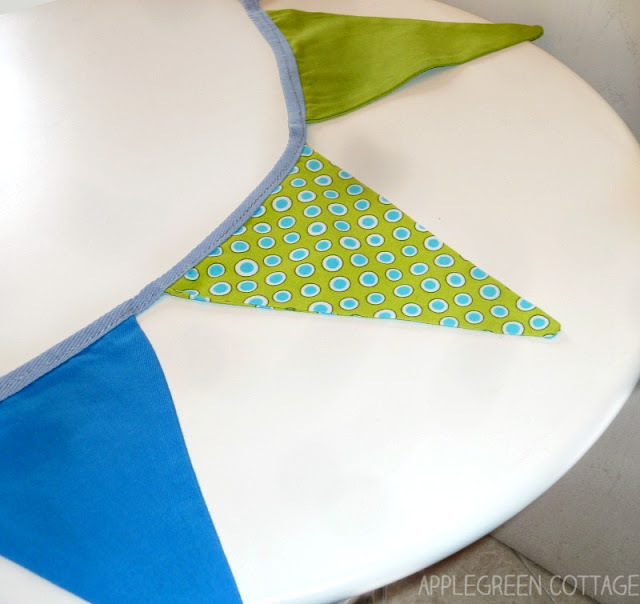 Bunting Banner tutorial and a Free Sewing Template - Hello crafting friends! 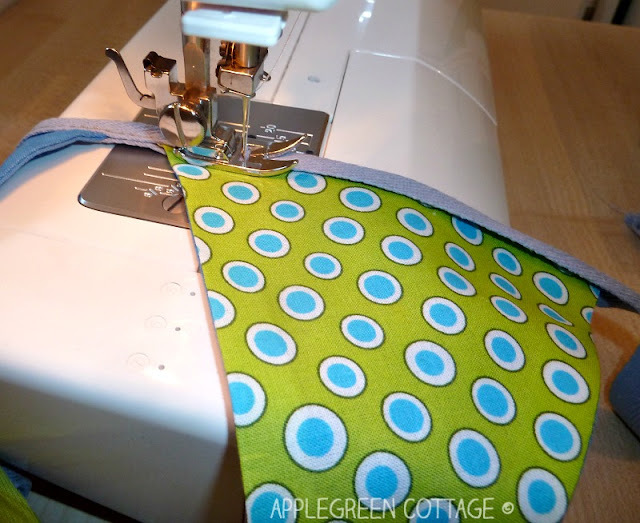 Another beginner sewing tutorial is waiting for you today. 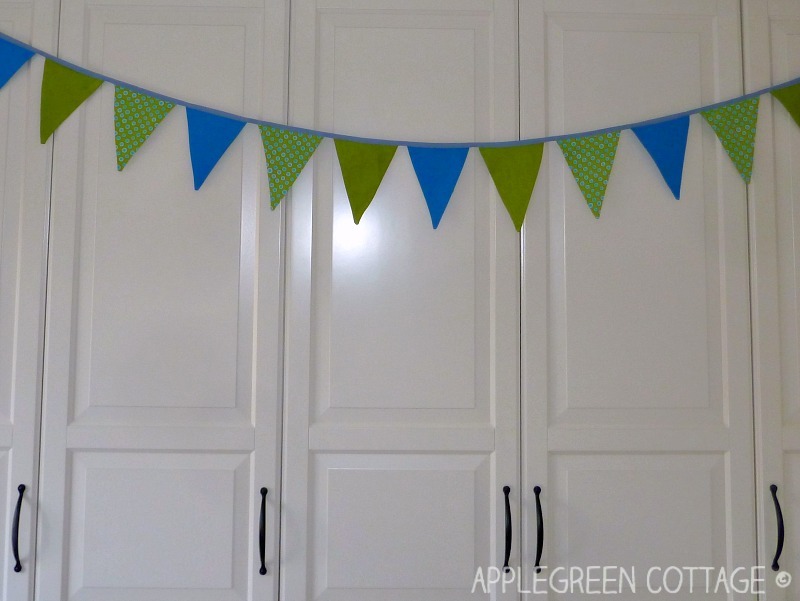 I'm excited to show you how to sew an easy fabric bunting banner. It's double-sided and so cute! Great decoration for a birthday party, or a baby welcoming party, even a baby shower. It's reusable and it will last longer than any single sided banner. Scroll down to get your free PDF pattern. 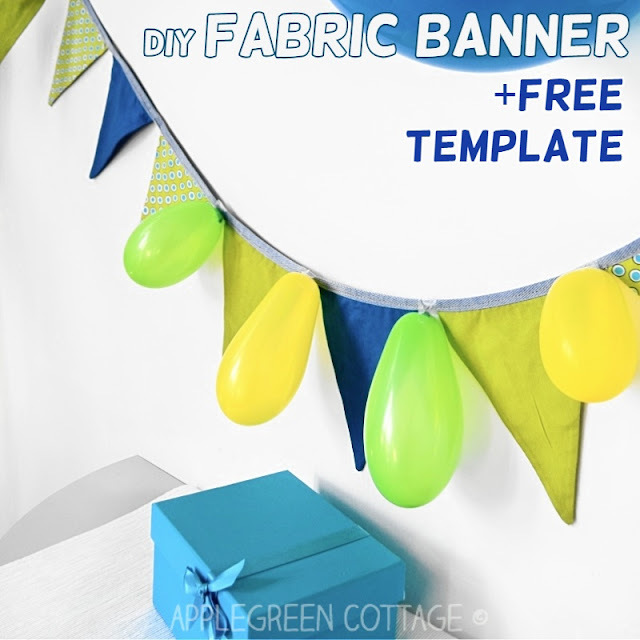 If you want to keep the beautiful banner you've just made, as a permanent room decor, it better be double sided, since you need it to NOT fray when you throw it in the washing machine. 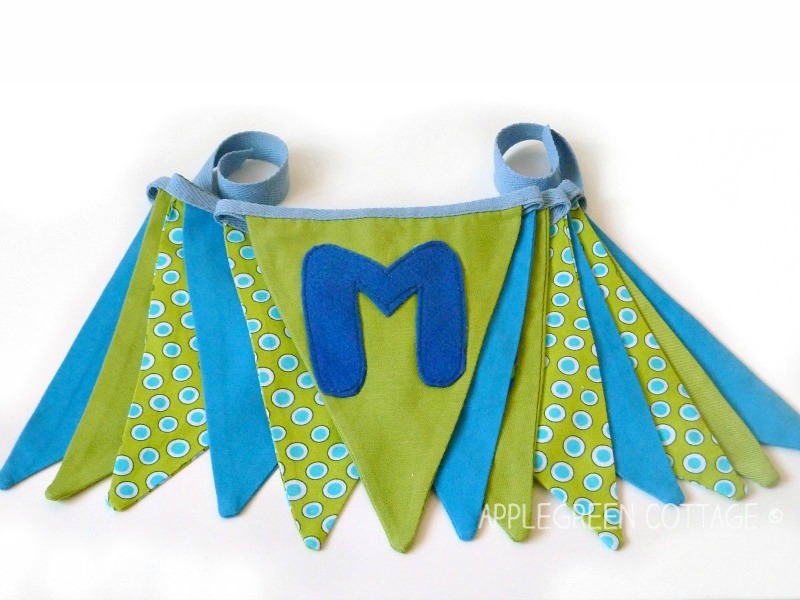 Nobody says that but off course, your baby's bunting banner will get dusty if you wan't to keep it seen. And here's the latest news (update): I'm adjusting to those who prefer to watch a video when learning to sew. Yep, I've just created a video slideshow for a quick recap on how to sew this banner. Enjoy! 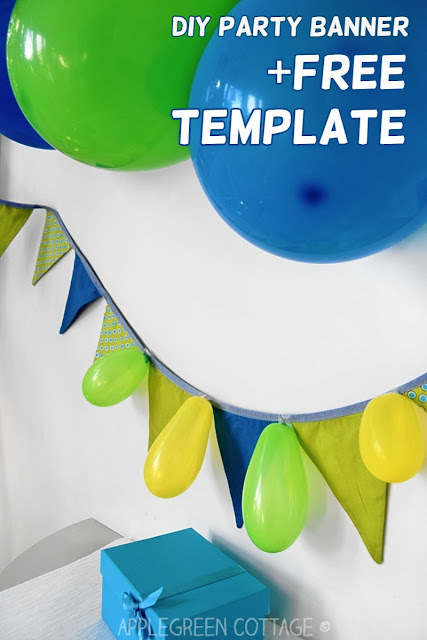 1) Get or make a template. You could also cut triangles without one, but using it will save you quite a lot of measuring (= a template makes the project waaay easier!) It's just the perfect size for me, and it might also be perfect for you. To make it even easier, you can print it on cardboard paper. It will last longer and makes cutting out flags piece of cake. 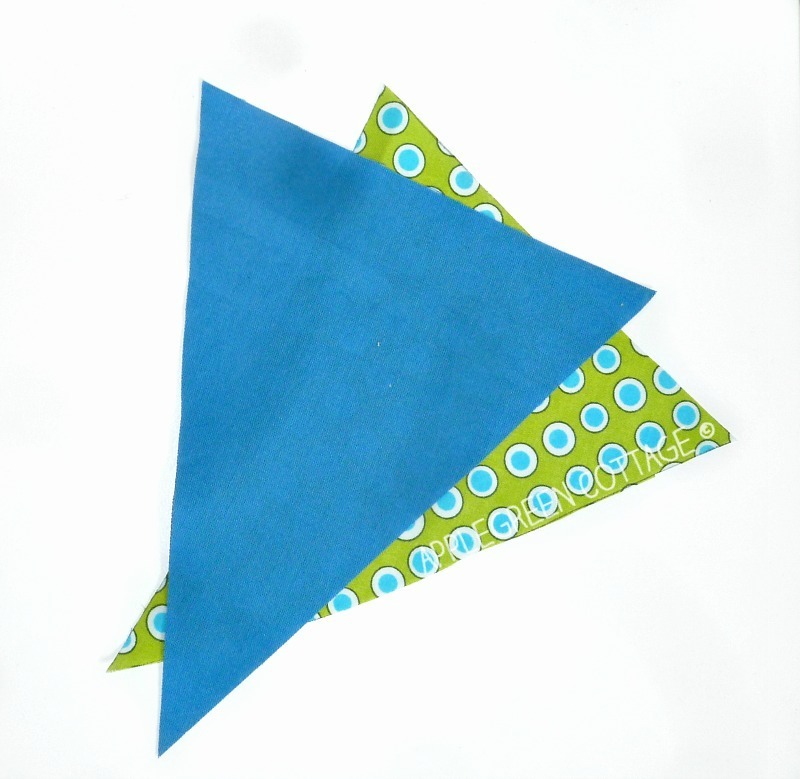 2) Now when you've got the template, cut out 2 pieces of fabric for each bunting flag. 4) Turn right side out. 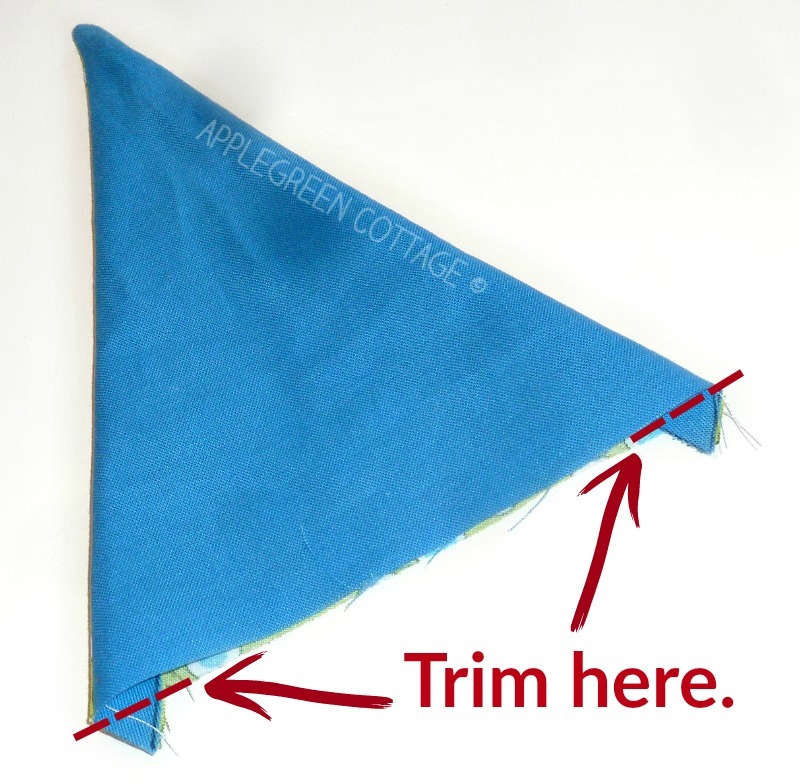 Push out the tip of the triangle using a point turner tool (or simply a knitting needle, chopstick or something similar). 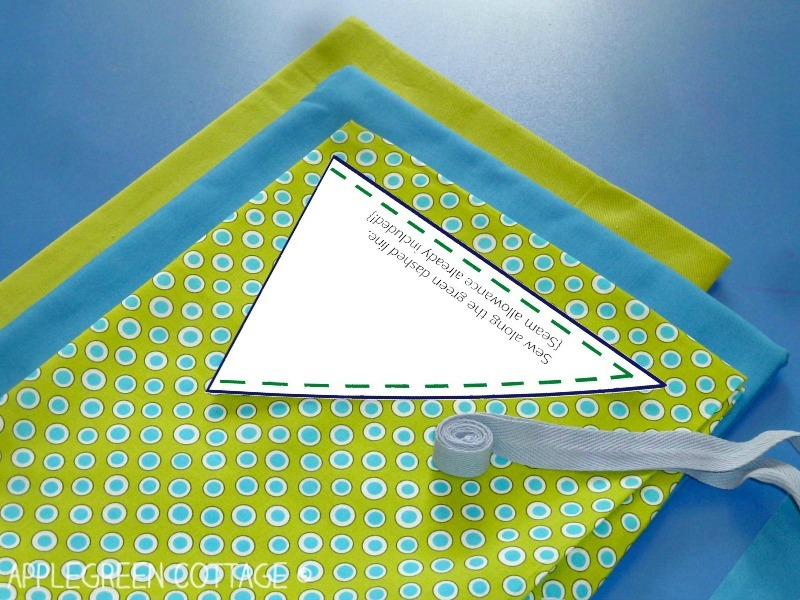 6) Sew the flags onto the ribbon. 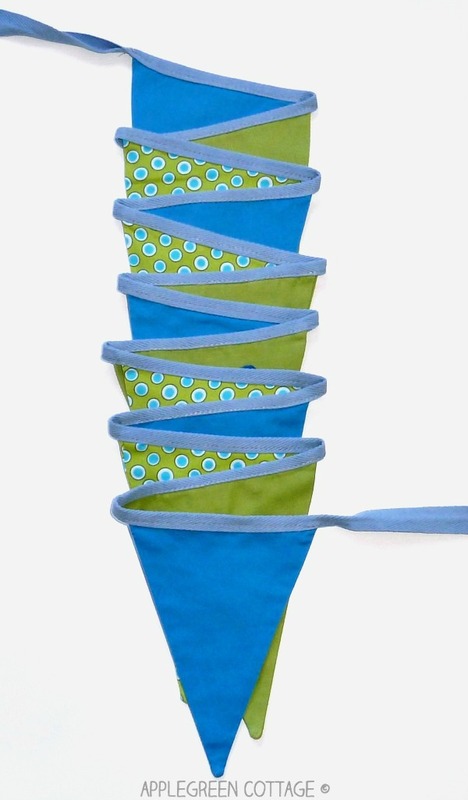 You will probably want to leave at least 10 inch (25 cm) of ribbon on each side of the bunting for tying/hanging. I left more, approximately 20 inch (50 cm) and it allows me to hang it pretty much anywhere. 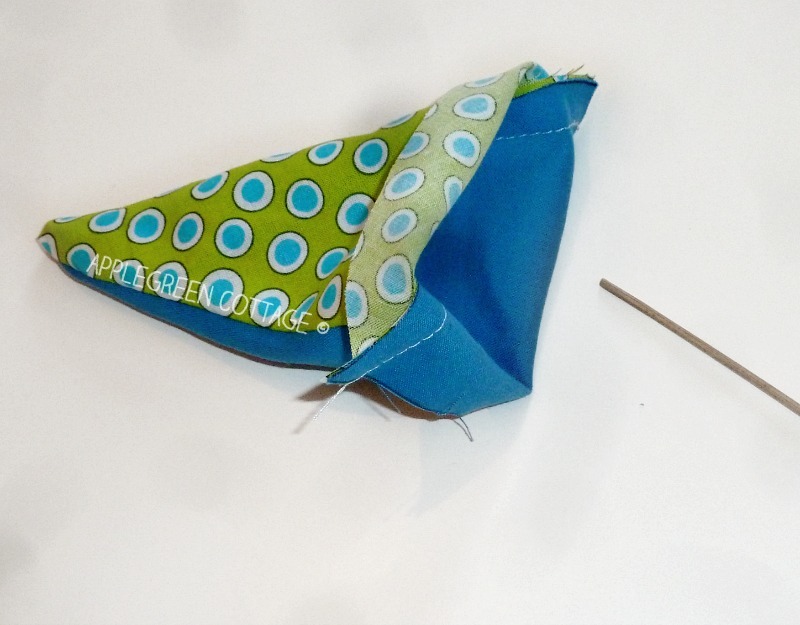 Fold the ribbon in half (lengthways) as you sew. 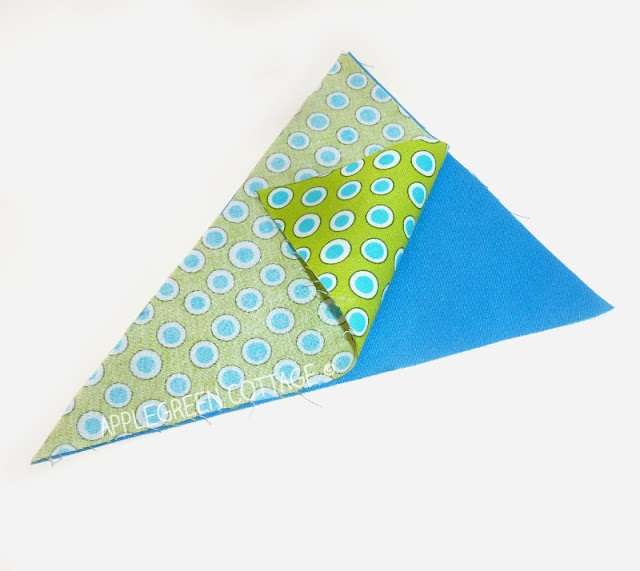 Insert the first flag by tucking the unfinished side of the triangle between the two ribbon layers. Then leave a gap before the next flag (I left an inch). No matter how long the gap, just make sure to space the gaps evenly. Then repeat on all pieces. 7) Done. How easy was that! 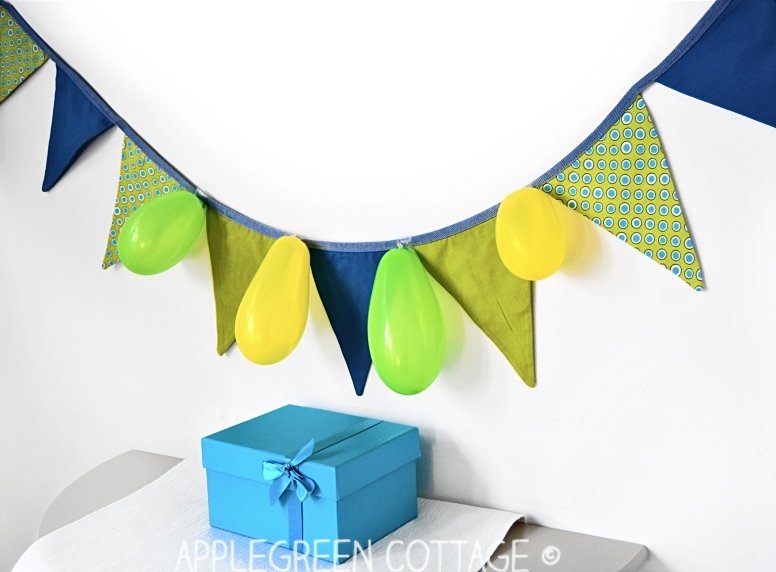 Now what you need to do is hang up your cute fabric bunting and admire it :) Or give it as present. It would make a perfect baby welcoming gift, wouldn't it? 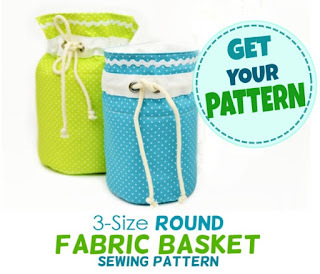 To store them, make an easy zipper pouch. 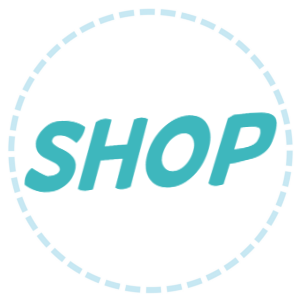 You'll have a wonderful handmade present for your loved ones (aka 2-in-1!) 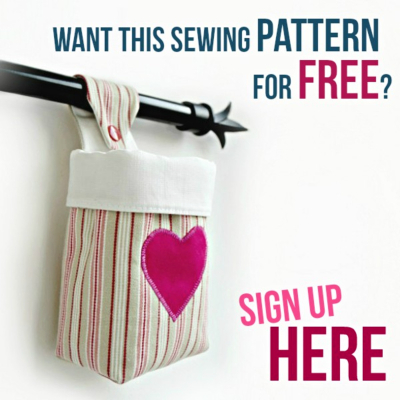 – You can use any of my free zipper pouch patterns in the Subscriber-Exclusive Resource Library. 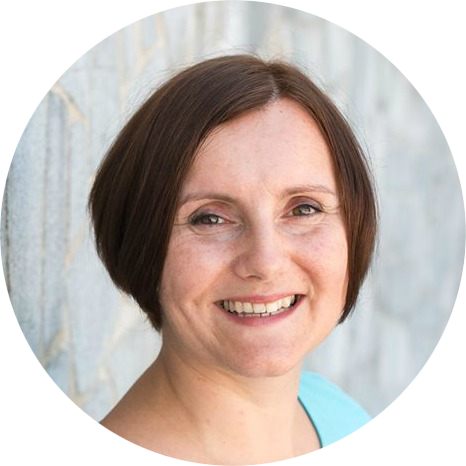 Join the newsletter and get access to the FREEBIE Library HERE. You can see that in my title photo. 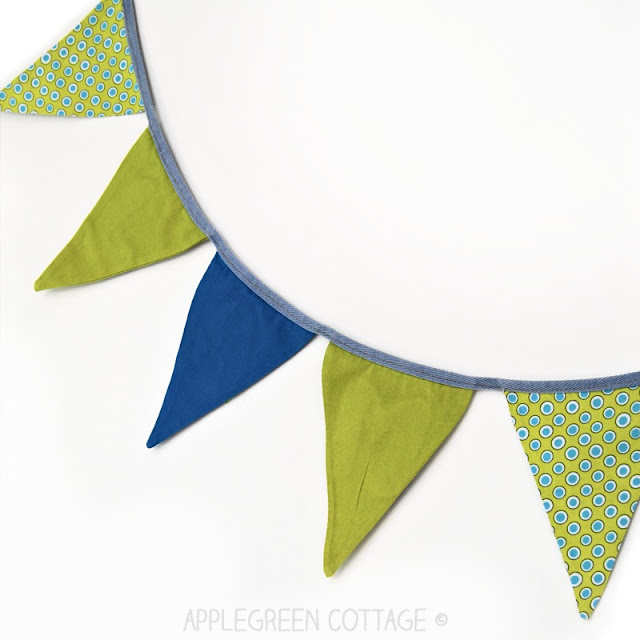 I added the name of the child on the bunting and it looked great! If you want to add letters too, or any other applique, it will be easiest to use felt as you don't need to hem it and it's easy to cut. More about that in my how-to make simple felt letters post. If you are adding felt, it's important you use just the right type for your project. If you scroll down the post about felt (here), you'll find a simple explanation of what type of felt exactly you need for your project. 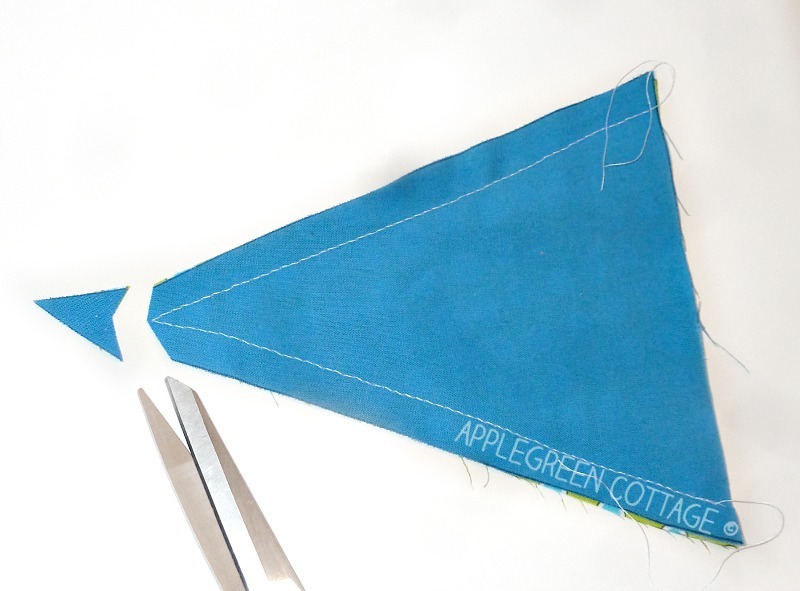 Now you've made your first fabric pennant banner. A perfect beginner sewing project, isn't it?